Yesterday was another rollercoaster session that saw early buying lift all the major indices off the canvas, and then a self-inflected wound by the administration. 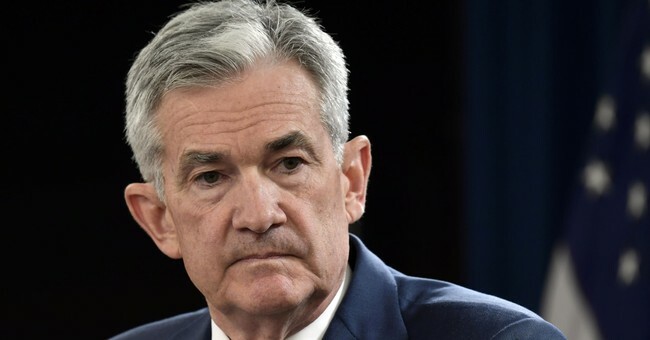 I’m not talking about President Trump’s criticism and displeasure with Jay Powell and the Federal Reserve, which I think is legitimate and even a brilliant political move. The Dow climbed erased a 100-point loss and was building momentum when Larry Kudlow contradicted a report of a possible meeting between President Trump and China’s President Xi. With so much uncertainty swirling in the air, this was an ill-timed moment for such confusion. The rally effort lost traction, and the Dow was down almost 1,400 points in two sessions. The session also had all the hallmarks of market panic, wiping away the veneer of calm that was a good thing. Massive rotation out of the Spiders on a 400% increase in volume, with some funds moving into gold +3% and bonds TLT +1.4%. For those that have fretted market participants had become too sanguine, you got your wish, as a good old fashion panic washed out overconfidence in most investors. I had been pointing out for weeks the breadth of the market was worrisome, even on up days there were more declining stocks than advancers. Then there is my favorite and fastest pulse of the market: news highs and lows. The NYSE saw 9 stocks make new highs while 526 closed at new 52-week lows. The NASDAQ saw 13 new highs against 401 new lows. The last two days have indeed flushed out the veneer of invincibility, but any investor in the market more than two years understands these things happen and are often cathartic. The street is crunching financial results from big banks this morning and looking for clues about their businesses and the broad economy. Meanwhile, bond yields are pulling back. I think the 10-year holds above 3.0%, and maybe it settles between 3.08% and 3.23%. You could look at all this carnage as an opportunity, but after an initial tide lifts most names, I think the subsequent rally will be even more selective going into the end of the year. Right now, history tells us to be looking for opportunities. I hear your frustration when the experts come on every day and say buy this dip. You only have so much money, and even less nerve. Here’s the trick – don’t focus on picking the bottom. The investors that get in a little early will be in while those that are always waiting for the bottom will miss the bottom, and then they will wait some more. Millions of would-be investors are still waiting for a re-test of the March 2009 lows. At this point, you can throw the charts out the window on the downside, except I’m using former support points like the 200-day moving average as an upside test of resistance. But the most important thing you can do is stick to those names that you know have great fundamentals and watch the tape and let the market help you narrow your selection. I have ten names that really were impressive that are on my buy list. I know you can’t buy the dips everyday but please don’t ignore history and bypass opportunity because of the last two days.